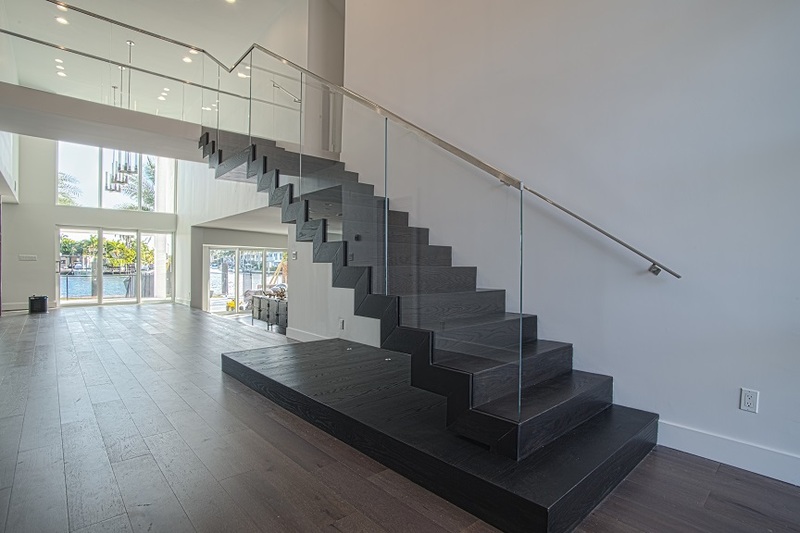 Bella Stairs had the opportunity to work on this beautiful home in Fort Lauderdale’s Victoria Park Area. 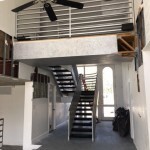 The home still exhibited an early 1990’s décor and was in need of a complete stair overhaul. 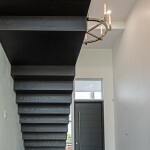 We were able to collaborate and design a new layout that allowed our clients to gain 50 square feet of lost foyer space. 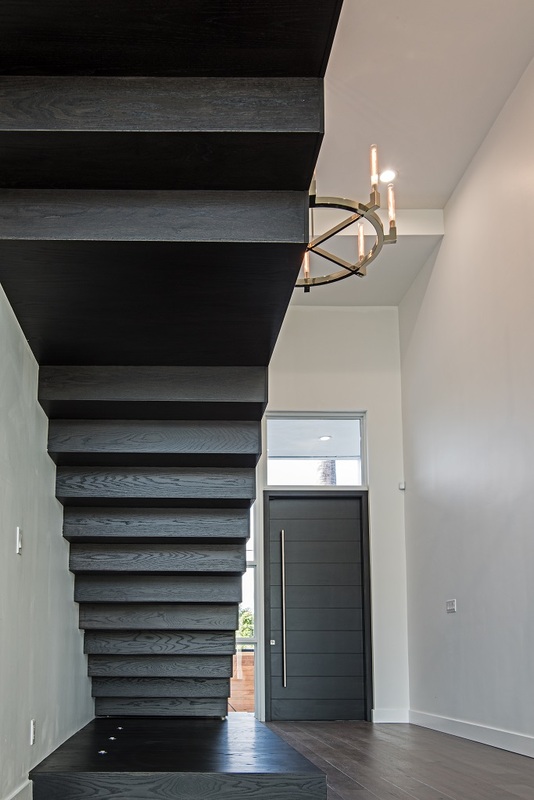 Giving it a much more Grande entryway while maintaining a modern look that complements this homeowner’s style. 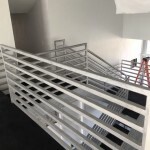 We started with changing the staircase structure and location, which was moved and reinforced with a new steel frame. 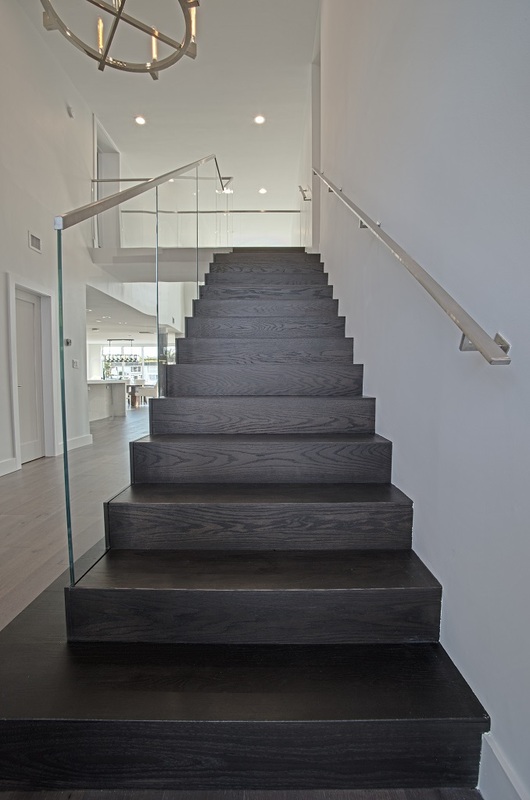 The treads and landings are a solid oak wood stained a beautiful dark color to contrast the light flooring. 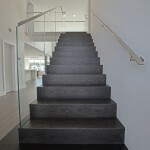 The exposed zigzag design gives the illusion of a floating staircase, a nice architectural detail to the overall look. 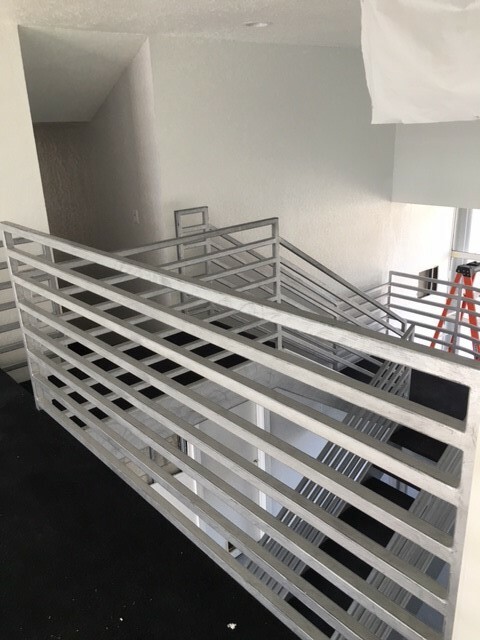 A new 36” rectangular stainless steel handrail was wall-mounted. 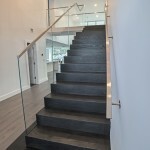 All of the stainless steel components used are in a brushed finish to match the home’s décor. 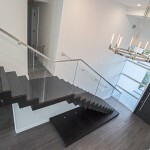 The staircase and catwalk features 42” high laminated StarFire glass railings with a stainless steel cap rail to reinforce the rigidity and structure of the glass. 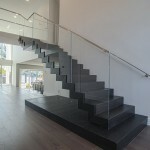 Glass railings are required to be laminated as per Florida Building Codes. 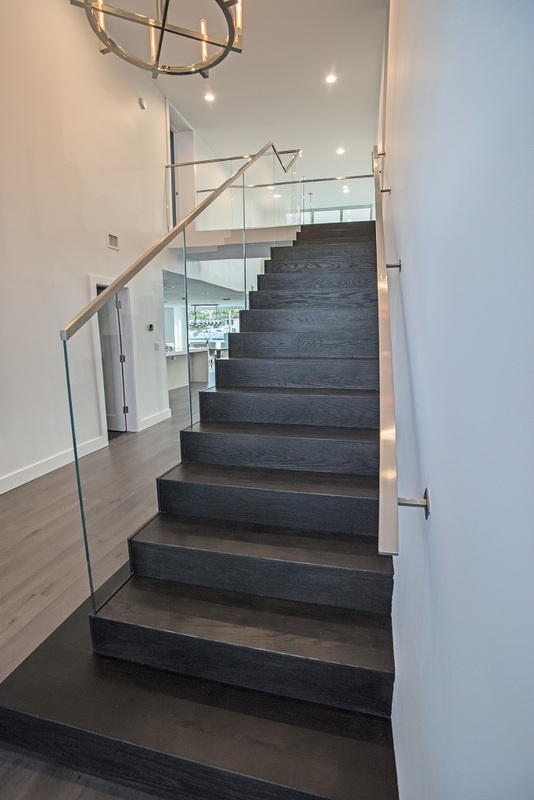 The glass railings allow natural sunlight to fill the room and does not obstruct the beautiful waterfront view. 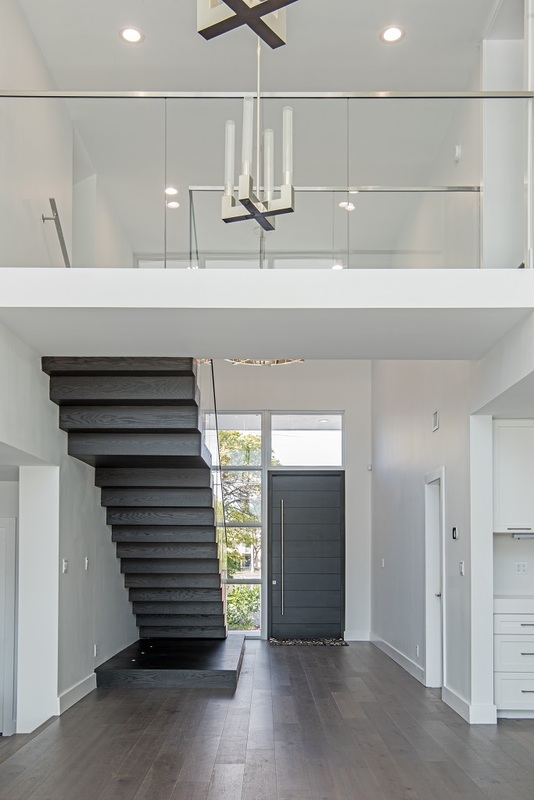 The catwalk was modified from a 22” wood structure to a 9” thick steel structure; opening the space to beautiful views and much more sunlight. 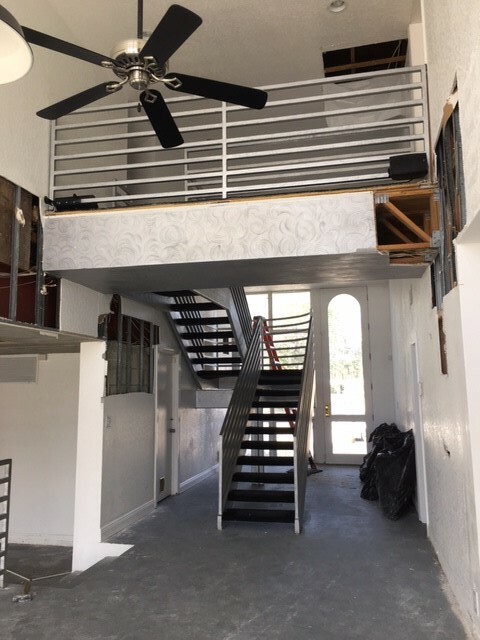 It was lowered 4” to allow more headroom and comfort when traveling to the master bedroom suite. 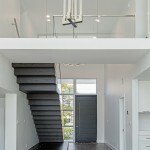 The sides and bottom of the catwalk were painted white to keep the look light and airy. 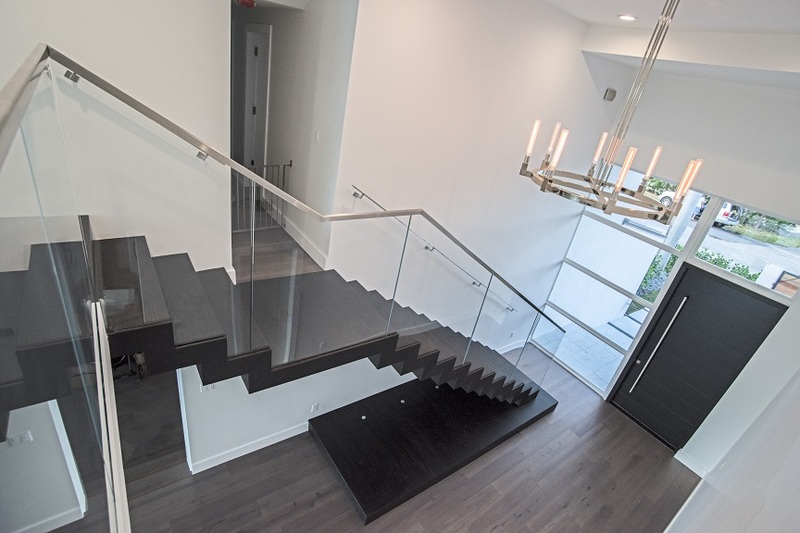 All of these design elements come together to create an elegant yet modern looking staircase that ties in perfectly with the rest of this exquisitely renovated home.